Shellfish beds are traditionally open from early November through March each year and shellfishing is only permitted during that period. Each year the specific beds are identified and the season declared open by the Board of Selectmen, which generally occurs at a Selectmen's meeting in October with an opening date to occur sometime in the first week of November. A public Notice is placed in the local newspaper and on the Town website. 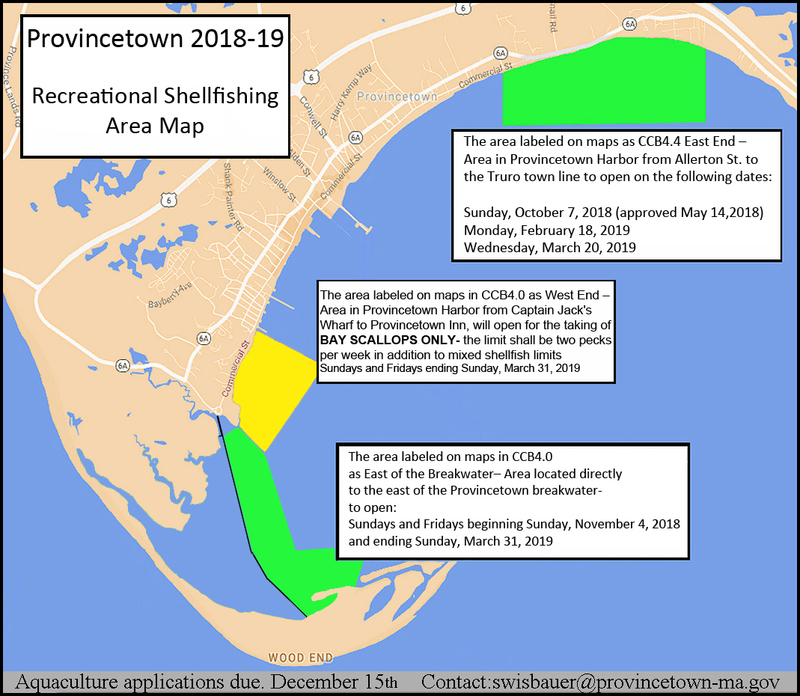 Shellfish Permits typically are available in mid-October in preparation of the new Shellfish season. Residents & Non-Resident Property Owners: $15.00. Non- Residents: $50.00. Residents and taxpayers 65 and older - free!